Education- Volunteers develop projects to address the lack of trained English Teachers at middle schools, and the gender inequality problem in education system in Togo. Environment- Volunteers develop projects related to environmental action and food security, agriculture, livestock and fisheries. Access to sufficient, safe and nutritious food for all Togolese and protection of the environment is a major priority. Health- Volunteers develop projects focused on the promotion of maternal/childhood health, Malaria prevention as well as improvement of water and sanitation systems. 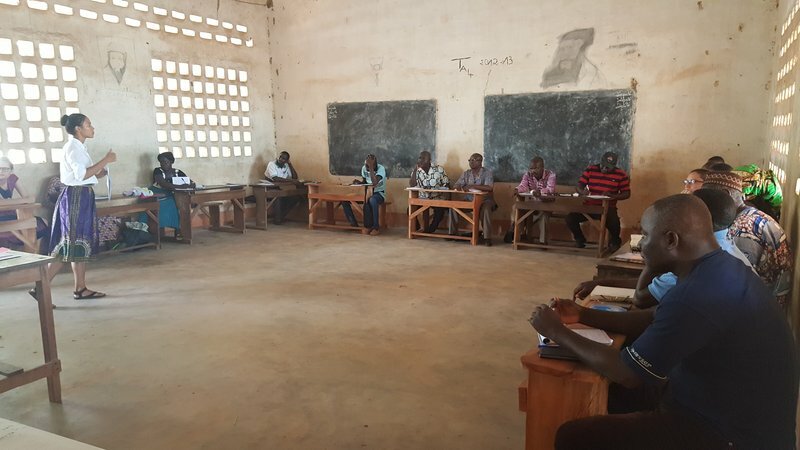 Teachers participate in a training session at a local school. There are no Volunteer projects in Togo at this time.